After practicing real estate law in Cleveland, Ohio and South Florida for more than two decades, Leslie Evans founded Leslie Robert Evans & Associates, P.A. (LRE) in May of 1996 in Palm Beach. In 1999, the law firm moved across the street to its current location at 214 Brazilian Avenue, in the heart of Palm Beach's historic district. Leslie Evans purchased the building and restored it to its early twentieth century appearance, carefully preserving its original charm. 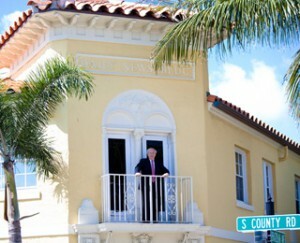 The 85-year-old landmark building on Brazilian Avenue once housed the editorial office and publishing plant for the Palm Beach Daily News and Palm Beach Life, and well as the offices of the Palm Beach Chamber of Commerce and the Palm Beach Business Association. Today, LRE continues to expand its areas of practice and is committed to continuing the firm's tradition of offering intelligent and cost-effective legal advice to its clients.